For all of you outdoor camping enthusiasts who cannot put up with not being in touch with outside world for less than twenty four hours through your mobile phones , have you ever considered how you will charge them up whenever the battery breaks down ? Well, do not worry as we have discovered this awesome device which could recharge all kinds of mobile phones as much as 12 times on an individual charge, and it is waterproof. 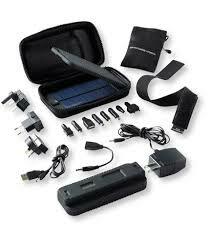 The Powermonkey extreme Charger is uses a solar panel or you could charge it by the electrical grid before you leave home which is available for 143 .96.This is the perfect gadget for people on the move and camping enthusiasts who can not live with out their iPhone,iPad and other gadgets.The battery pack has an amazing 9000mAh milli-amps-hour which is amazing for the size and charges most smartphones and tablets.